Do you have tinnitus after a car accident? Whether you have ringing of the ears from a minor car accident or a bad car accident, you may have a serious injury claim. I have handled several ringing of the ear cases recently and they are frequently complicated because evaluation of the medical documentation requires detailed examination of preexisting issues as well as the current hearing condition of the injured party. 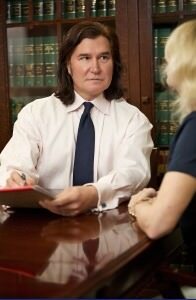 Its important in a ringing ear case to compare prior hearing tests to those taken post car accident. order to determine the level of car accident related hearing loss or disturbance. One interesting car accident related ringing of the ear cases involved a client who was fitted with fans to tone down the constant ringing he suffered following the moderate car accident. With any ringing of the ear car accident case, whether it is a minor car accident or a bad car accident, I recommend you consult with an experienced car accident injury lawyer who knows about tinnitus and the profound effect it has on the lives of some car accident injury victims. I want to help you get all the money you deserve for your tinnitus car accident injury, so call me at 503-280-0888 now or please fill out this short form.